Home/Articles/Robotics/What is Robotic Machine Tending? How Does Automated Machine Tending Work? Most machine tending is currently done by humans. Machine shops are using their human workforce to load and unload machines and to restart the program once the finished part is out of the way. The tasks are often repetitive and qualified workers are becoming harder and harder to find, companies are introducing robots into their workshops to make up for the lack of employees. The most popular applications of machine tending would be in machine shops where robots would load raw material, the machine then executes its program, the robot takes the finished part out and loads the machine with another raw part. This process can be done in a loop for an infinite number of times assuming the robot continually receives raw parts and that the machine produces quality parts. Machine Tending can be dangerous work and requires the consistency that a robotic solution can provide. Robots replace human interaction to move product from a supply position, transport it to a machine, orient it, and then interact with the machine. Our designs are capable of handling items as small as a dime and as large as a refrigerator – in turn-key solutions. Loading and unloading products for grinding. Loading products into CNC milling and turning machines. Tending injection mold product loading and unloading. Because space is already at a premium in most production facilities, many machine tending robots have a small footprint. They also come fitted with water and dust protection as standard and cables routed through the wrist, out of harm’s way. Some manufacturers even have small models that go straight into the machine tool. 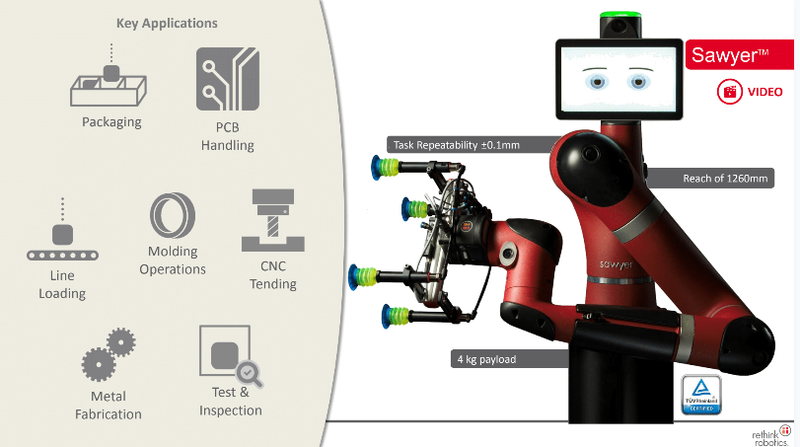 By Terry M. Brei| 2018-06-19T14:10:57-05:00	April 19th, 2018|Robotics|Comments Off on What is Robotic Machine Tending?